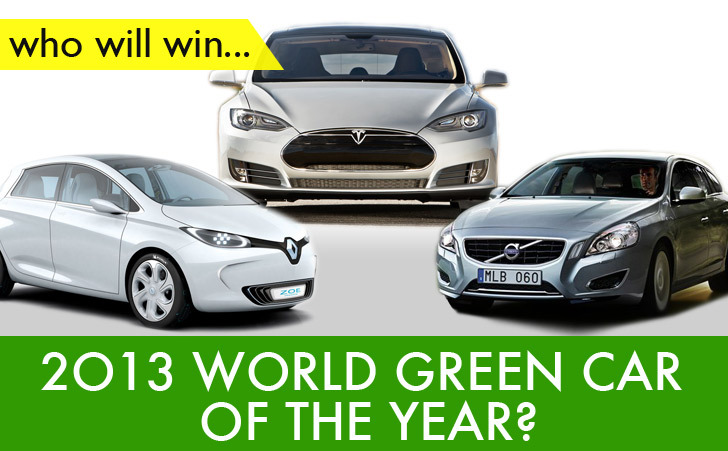 Which of These 3 Vehicles Should Win the 2013 World Green Car of the Year Award? The 2013 World Green Car of the Year will be announced later this week at the New York International Motor Show, and the three finalists have been named. Vying for the prized title are two all-electric cars—the luxury Tesla Model S and the more modest Renault Zoe—alongside the Volvo V60 plug-in diesel hybrid. For US drivers, the question may be somewhat academic; the Renault Zoe is presently only available in Europe, while the Volvo V60 hybrid was available in Europe, until it sold out for this production year. But each of the impressive vehicles bring their own unique offerings to the green car market – read on to learn more about these finalists, and vote for your favorite! Which car should win the 2013 World Green Car of the Year? Volvo produces some of Europe’s most favored and reliable cars, and the V60 Plug-in Diesel Hybrid features some unusual qualities among its kind. The world’s first diesel plug-in hybrid, the car can be driven in either all-electric mode, which provides a emissions-free range of 31 miles for short commutes, or in hybrid mode using its diesel engine to reach an exceptional range of 746 miles. While it appears to be only marginally sleeker version of Volvo’s standard gasoline wagons, the PHEV has some strength to it—in power mode it can use both its electric capacity and diesel engine to provide a combined 285 horsepower. 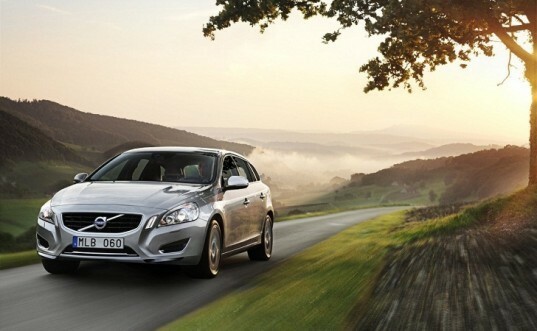 Initially Volvo produced only 1,000 units for 2013, which rapidly sold out in Europe prior to its release. The Tesla Model S Sedan has had tumultuous few months since the New York Times ran a scathing test drive of the car and Tesla’s supercharger system. Tesla founder Elon Musk provided a hasty and detailed rebuttal, but the review wiped $100 million from the company’s stock market value. But the luxury all-electric car is likely to weather the storm. The first units were delivered in June last year with reservations doubling end of year production goals. The base model features a range of 160 miles at $49,900 after the $7,500 federal tax credit, and for an additional $10,000, the next model up has a very impressive range of 230 miles. 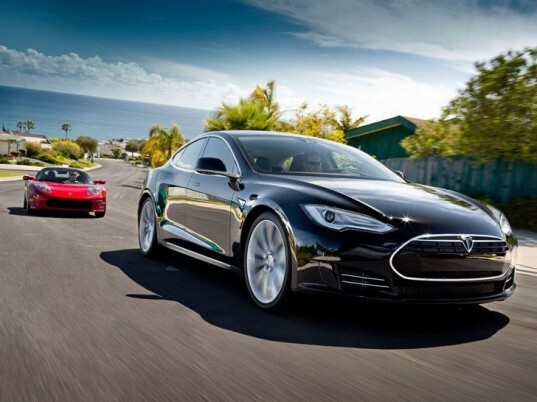 If Tesla’s Model S Sedan does win World Green Car of the Year, they can simply add it to their already impressive set of accolades, including the coveted 2013 Car of the Year award from Motor Trend. Designed as a “city car ideal for everyday use,” the all-electric Renault Zoe is small, practical vehicle loaded with energy-saving technologies (and some just straightforward cool ones). Regenerative breaking, a heat pump system, custom-made Michelin tires and LED daytime running lights help the car accomplish a respectable range of 130 miles. Sold for a relatively affordable $27,250 (before tax incentives), plus battery rental the five-door EV has fast become the best-selling electric car in Renault’s home country of France. The company is also making huge strides towards making EV’s accessible to all. 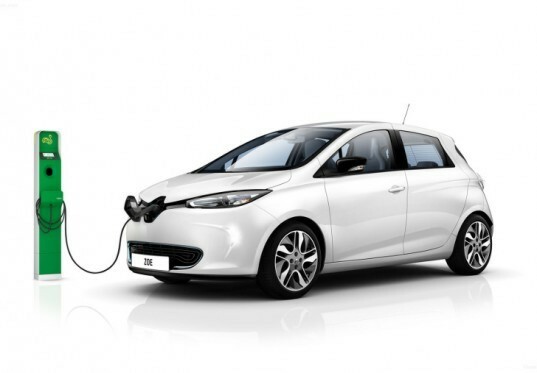 In addition to the low sales price, Renault recently announced that they would work with UK tax incentives to provide free home-charging stations for British purchasers of the car. Additionally, Renault has been playing with some head-turning concepts for future models. It would appear the only people who do not like the Renault Zoe are those named Zoe Renault. We’ll be live on scene at the New York Auto Show as the 2013 World Green Car of the Year is announced – so vote for your favorite and stay tuned for the winner! While I love the Tesla because of its range and styling I believe the price needs to be taken into account when picking a care of the year. My vote would go to the 2013 Nissan Leaf. The price has gone down and efficiency gone up making it the cheapest new cars to own when you consider total cost of ownership (gas, oil changes, maintenance). It reminds me of the Ford Model T. The lower purchase price and quick payback will do a lot to bring EV's to the forefront. The 2013 World Green Car of the Year will be announced later this week at the New York International Motor Show, and the three finalists have been named. Vying for the prized title are two all-electric cars—the luxury Tesla Model S and the more modest Renault Zoe—alongside the Volvo V60 plug-in diesel hybrid. For US drivers, the question may be somewhat academic; the Renault Zoe is presently only available in Europe, while the Volvo V60 hybrid was available in Europe, until it sold out for this production year. But each of the impressive vehicles bring their own unique offerings to the green car market - read on to learn more about these finalists, and vote for your favorite!